WHAT??!! So, I was super shocked last month when I saw the challenge pack sales go up. There were 15 of them on sale and I thought that surely it was a mistake. Well, Beachbody is at it again! 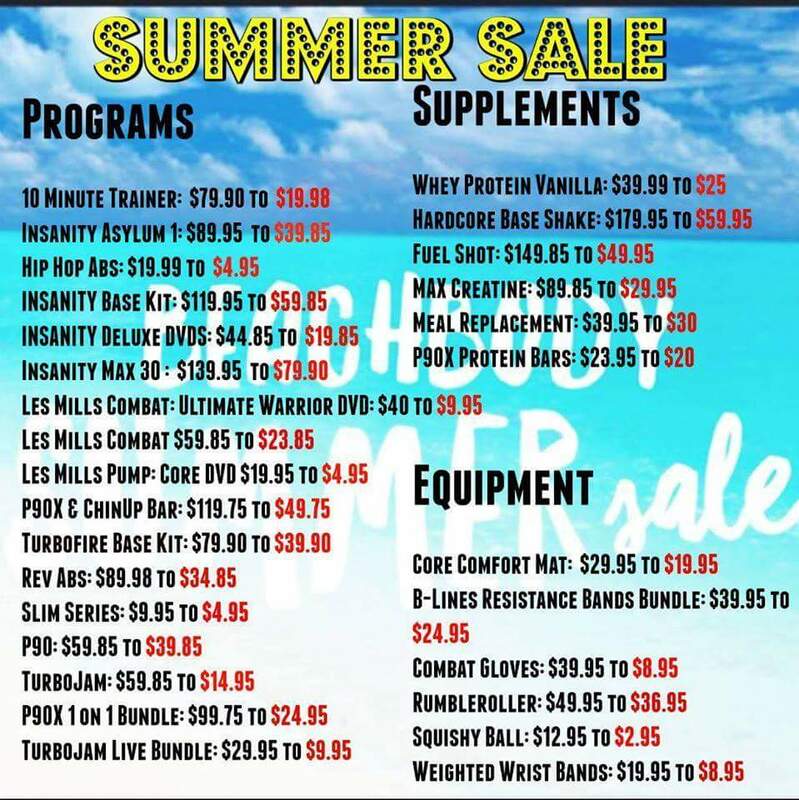 They are continuing the sales on their most popular programs through September! So, if you missed out last month, be sure to grab one this month!! Hey, you! Yes… YOU!!!! I have an awesome OPPORTUNITY for you!!! Do you have a dream of working for yourself from home? Do you desire more freedom to be with your family? Or would you just like a little extra spending cash? This could change the rest of your life right here, right now! I am looking for only 2 people to mentor this month. That’s right, TWO. I want to be sure that each person receives my undivided attention and support! If you’re interested in getting in great shape and helping others get in great shape at the same time, this is for YOU! Receive a 25% discount on all Beachbody products! You don’t have to deal with inventory, billing, or customer service! No quotas or volume requirements to meet! You don’t have to be at your goal weight to be a coach! Be your own boss and make your own hours! You never know unless you reach out and try! Everyone will be considered!! If this is something you might be interested in, or if you know of someone that would benefit from this opportunity, message me to chat a little more or jump right in & fill out the coach application below!